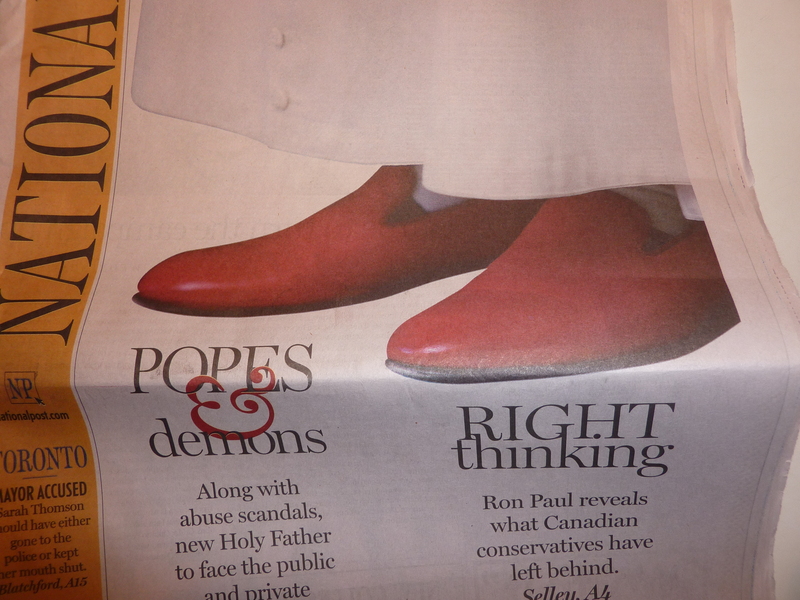 On the front page of today’s National Post newspaper, I saw the picture of the Pope’s shoes. 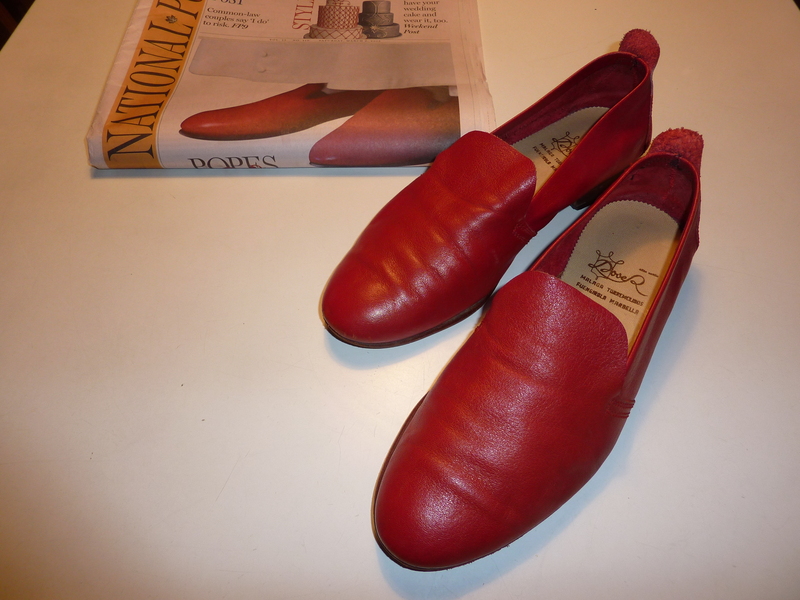 I admired them and thought of my own very similar design, polished and put away last fall. I retrieved them and took the photo below, how odd and funny that they are so similar.